Everyone wants his website to be as fast as possible, we offer you technology that will make your site as fast as possible, no matter where the world is accessing! Introducing the latest CloudFlare Railgun technology. 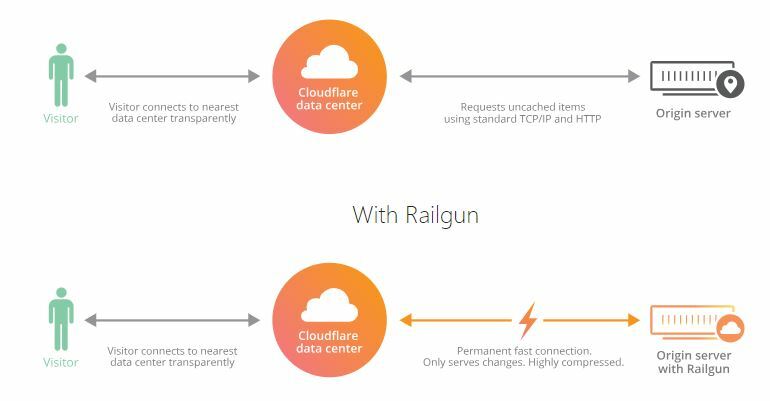 Railgun is the latest generation of CloudFlare technology that optimizes the performance of your site and provides you with a significant improvement in the time it is charging. The new Railgun technology is for the first time on the market! We offer you integration of the service to your site only for 83€ for 1 year for NEW customers and 220€ for 1 year for current customers!!! The real cost of the service as you can see HERE is $200 per month or 2400$ for 1 year.